New properties are still being built along coastal areas. Some developers are marketing homes and buildings that are designed to withstand major storms. Property owners are taking costly measures to protect existing properties. In fact, in the wake of Superstorm Sandy, numerous companies now offer various flood protection measures for both residential and commercial buildings, such as paneling, barrier systems, gates, removable stop logs and raised foundations. Owners and builders are not the only ones taking precautionary measures—governments are reacting, as well. In New York, neighborhoods are being demolished to create flood-zone buffers. Sand levees and concrete barriers are being constructed and stone barricades have been built out into the sea. New York’s Metropolitan Transportation Authority has awarded hundreds of millions of dollars in contracts for flood prevention and long-term mitigation measures, including sea walls, flood walls, flood panel systems and watertight gates. Other jurisdictions are updating building codes, and spending money to build roads and utility lines higher. 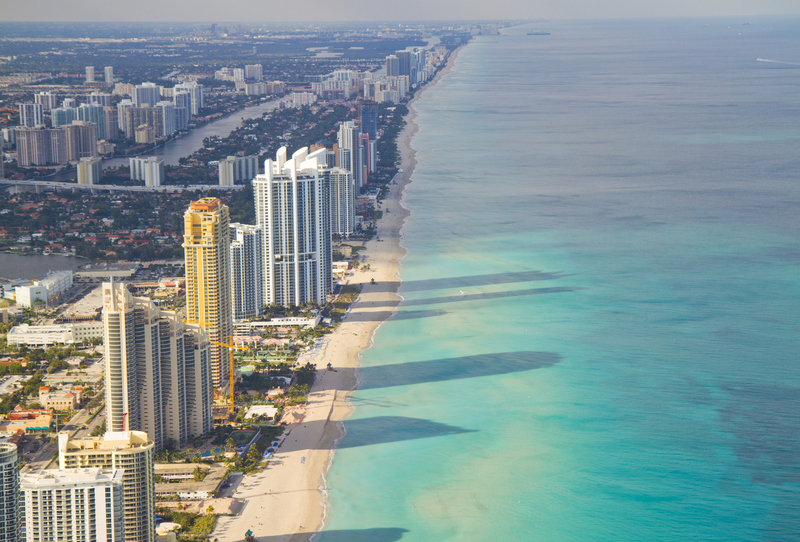 Miami Beach, for example, started construction this year to complete 80 new storm pumps that will eject up to 14,000 gallons of seawater per minute to a nearby bay. Cedar Rapids, Iowa, recently commenced construction for $570 million dollars of flood protection, including berms, moveable flood walls and other features. The project is estimated to take 20 years to complete. And in Boston, amid reports that Boston Harbor could become two-feet higher by the end of the 21st Century, city officials are considering building a four-mile-long sea wall around Boston Harbor. A proposal is currently being reviewed by scientists and engineers. The cost is estimated in the billions, and would take several years just to acquire the necessary permits. As property owners, builders and even local governments become proactive in planning for what many expect to come, these projects and improvements present various legal issues that should be considered. Commercial and residential property owners alike must ensure that the appropriate insurance coverage is in place, not only during any reconstruction, but also to protect the property once the work is complete. For example, most standard-form Builder’s Risk policies do not cover flood, but will cover windstorms. 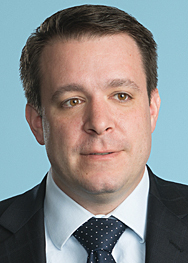 All-risk property insurance policies, while offering broad coverage for natural disaster type events, may significantly limit coverage for existing buildings damaged in the event of a hurricane through “sublimits of liability.” And property policies may carry deductibles that are based on a percentage of the building’s total value (as opposed to a fixed dollar amount deductible), which can effectively wipe away most or all of the coverage afforded by the policy under many circumstances. 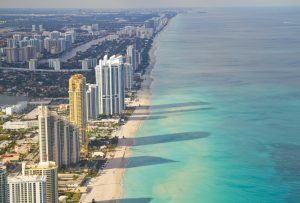 Insurance companies are already factoring climate change into their projections and planning—coastal property owners and contractors must also plan ahead, and be aware of what their policies do and do not cover. Owners, developers and contractors must also, of course, consider environmental impacts when planning construction or flood protection improvements along coastal areas, such as soil erosion, dispersing of trash and debris, groundwater pollution, sedimentation issues, and maintenance of any installed mechanical equipment. Most commercial general liability policies exclude coverage for discharge, seepage, or escape of “pollutants.” As a result, Contractors’ Pollution Liability and Pollution Legal Liability insurance policies should be purchased, but these policies also contain exclusions that should be read in advance and negotiated, so that waterfront property owners and their contractors can maximize their insurance coverage for future storms. Not all policies are the same. Contractors must also comply with all applicable environmental regulations and laws, and secure all necessary permits and approvals for the work that is going to be performed. Many states require permits for making substantial improvements to existing structures, mandate flood protection measures (such as stormwater retention), and some have minimum setbacks between new construction and shore lines, or restrict or prohibit any impact a structure can have on active beach areas. Property owners and contractors should secure experienced counsel to help navigate the complex legal and regulatory landscape associated with protecting existing waterfront properties and building new coastal properties. The exact cause of climate change can and will continue to be debated. In the meantime, though, governments, companies and individual with an eye on superstorms, shifting coastlines and other climate-related pressures are not waiting for resolution before acting. Neither should you.